With great excitement BMC were invited to one of Brighton’s coolest creative spaces to road test the latest technical wizardry from Pioneer brought to the city by none other than GAK in association with BozBoz. Home grown Brighton favourites GAK, now in their 25th trading year, are the UK’s leading music instrument retailer, whilst Pioneer, requiring little introduction stand at the forefront of creating cutting edge DJ equipment. Their collaboration with digital agency BozBoz who boast an array of creative clients in the city and beyond makes complete sense and the results at the ‘Pioneer DJ Secret Sessions’ were a nod to the perfect union of industry specialists. To celebrate the launch of the XDJ-RX2 the space at BozBoz had been creatively used to relive Pioneers achievements, accommodating a selection of Pioneers products in ‘museum meets rave’ style, they cleverly showcased the company’s technical heritage and offered attendees the opportunity to get hands on with the Toraiz series. Ensuring that their new bit of kit was shown off to it’s full potential Pioneer’s country manager Martin Dockree was at hand to provide an unforgettable masterclass and a succinct history of Pioneer’s exciting journey to the development of XDJ-RX2. Built to the same standard as its predecessors this new all in one rekordbox DJ controller bridges the gap between the XDJ-RX (launched just two years ago) and the Nexus & Nexus2, whilst paying tribute to the Aero, a controller which provided the technical blueprint for the XDJ-RX. Aesthetically pleasing the XDJ-RX2 is a clever controller that responds not only to the diversity of gigs a DJ might play; it also respects the diversity of DJs and their preferences when playing a set and accessing music. Pioneer know that whilst many a bedroom and lounge might contain a Nexus or Nexus 2, their price tag means they’re not affordable to all and their size not always practical – enter the XDJ-RX2, priced at around £1500, it is cheaper than the Nexus range and much more transportable, making it the perfect choice for mobile DJs and aspiring club DJ’s. The need to have a laptop in tow is removed with everything a DJ needs present in the controller’s monster hard drive. 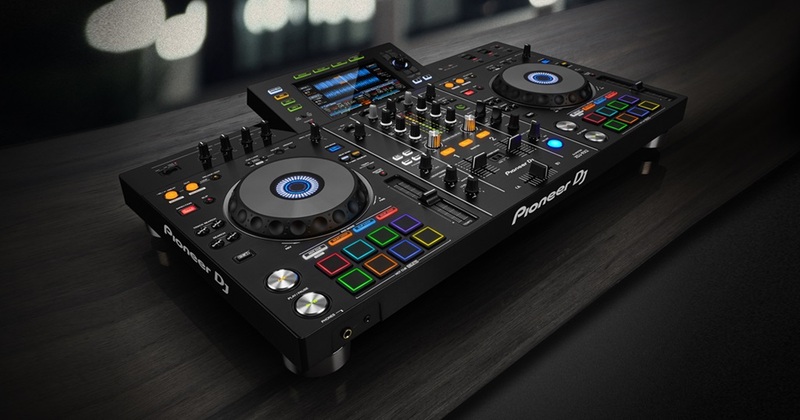 This new bit of kit has been well thought out, with input from Pioneer users combining the best specs from existing products, alongside new features designed to make DJing a little easier. With just one screen and a touch screen at that, the system features a qwerty keyboard giving DJ’s complete visibility of their tracks and boasts a menu that will make in club handovers a complete breeze. Every DJ is different and their preferences for selecting music varies, the controller’s search engine and touch screen capabilities responding to user needs very well indeed. With the ability to manipulate track wave form and zoom in on tracks DJs can drop tracks accurately and with ease, needle search allows users to locate specific parts of a track quickly and Pioneer have cleverly switched up the layout of the XDJ-RX2 ensuring that it bears resemblance to the Nexus 2. The XDJ-RX2 features 8 performance pads per deck, all capable of being used for hot cues, beat loop, slip loop and singular or continuous beat jump making it perfect for on the fly mixing and injecting creativity into sets. Re-loved with its diverse audience in mind, the XDJ-RX2 caters for all DJs whatever tracks they’re packing – the mobile DJ, high profile DJ and underground DJ, wherever you’re at in the game you’re covered. There is nothing else on the market right now with this price tag and this functionality making Pioneer once again market leaders in what will quickly become the essential DJ controller. This is a product that has been designed with its users in mind and more. 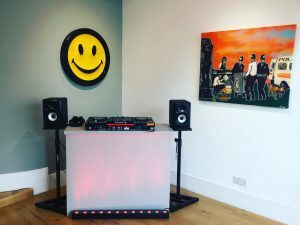 They’ve taken care of everything and created the perfect piece of equipment for the mobile DJ and the ‘up and come’ bedroom DJ in preparation to perform in clubs with absolute ease. You can purchase the XDJ-RX2 with Next Day Delivery at the best price from GAK here.